Hurricane Harvey hit the Texas coast as a Category 4 storm near Rockport the night of August 25. Although soon downgraded to a tropical storm the following afternoon, Harvey was responsible for 90 confirmed deaths in the US and up to $180 billion in damage, according to estimates by the governor’s office. 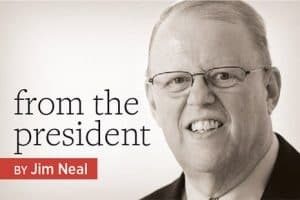 On September 8, Congress passed a measure for a total of $15.3 billion in relief aid, taking quick action to help victims of the devastating floods. 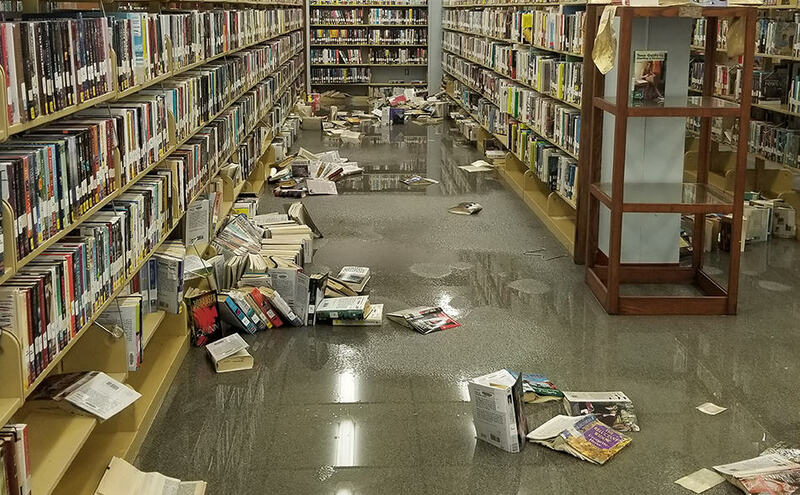 Depending on their location, some libraries sustained significant damage from the ensuing flood waters, while others escaped with only a little cleanup required. The flood also affected many librarians and other library workers due to the damage to their homes. Houston Public Library reopened 18 of its 42 locations on September 5, according to an email message from Library Director Rhea Brown Lawson, based on the number of staff members able to return to work, an assessment of the building structure, and the “ability to spread our services as equitably as possible around the city.” The city’s General Services Department took active measures to counteract mold at closed locations. Some 160–170 staff members had to evacuate their homes, although many have returned. Six or seven library vehicles were also destroyed during the storm. Additional branches opened the weeks of September 18 and 28, with only six branches closed indefinitely due to flood damage: Dixon, Flores, Kendall, McCrane–Kashmere Gardens, McGovern–Stella Link, and Meyer. The Central Library initially reopened its first floor to allow access to technology and programs for children and teens. Lawson said that as she walked through the library on September 5, “it felt so good seeing folks embrace services and seem at peace. There were people in quiet corners and others browsing collections. There was laughter from children and the computer area was full. We have not yet deployed our Customer Engagement mobile units across the city, but we hope to restore those services soon.” The Central Library also provided space to the city General Services Department and Municipal Courts when those offices were closed and offered free child care to city employees. Nineteen of the 26 branches of the Harris County Public Library (HCPL) reopened on September 1 for emergency relief purposes only—for residents to fill out FEMA forms, use computers or internet, charge cellphones, or make use of a quiet, air-conditioned spot. All but four branches resumed normal business hours by September 11. The branches that are closed until further notice are Baldwin Boettcher, Barbara Bush, Katherine Tyra at Bear Creek, and Kingwood. Library Director Edward Melton told American Libraries that the estimated damages to technology, collections, furniture, and supplies at these locations alone amount to roughly $4.5 million. Kingwood Branch Manager Ryan Fennell said his library lost everything on the first floor, although his staff were able to rescue the second-floor books and hold them off-site. Melton said that the homes of some 70 HCPL staff members were affected, and all but two have returned to work. The Aransas County Public Library in Rockport was damaged and has not reopened. Collections, shelving, and furnishings at the William R. “Bill” Ellis Memorial Library in Port Aransas are a complete loss and the library is closed until further notice. The Port Arthur Public Library sustained significant water and mold damage. All books shelved less than three feet above the floor were lost, and all computers and furniture were damaged beyond repair. The irreplaceable Port Arthur History Collection has been freeze-dried for preservation. Director Jose Martinez said he hoped the library would be able to reopen by the end of 2017. The Dennis M. O’Connor Public Library in Refugio remains closed with water damage to the floors, water and mold damage to books, and ceiling damage. Director Tina McGuill said that she discovered sections in the library ceilings that contain asbestos and will have to be removed. Water seeped into the roof of the Victoria Public Library during the storm, forcing it to close for two weeks. Library Director Dayna Williams-Capone said the main damage was to structure, not materials. It reopened September 13. Most branches of the Beaumont Public Library System resumed regular hours September 18. However, its Tyrrell Historical Library, where its Texana and genealogical records are housed, sustained significant damage and remains closed until further notice. Galveston’s Rosenberg Library reported some water damage to its carpeting, but reopened on August 30. University libraries fared relatively well during the storm. The Texas A&M University at Galveston campus suffered little damage and reopened September 4. Classes at Rice University and the University of Houston began on September 5; neither Rice’s Fondren Library nor Houston’s M. D. Anderson Library reported any significant damage. Many University of Houston students and faculty living in the area lost their homes or cars and suffered through a nightmarish week as the city essentially shut down. Students at both universities volunteered to work at local shelters, at the Houston Food Bank, and as demolition teams to help storm victims clear out damage. Remnants of Harvey visited Kentucky early on September 1, leaving the Raymond Cravens Library at Western Kentucky University in Bowling Green with an inch and a half of water on one floor due to groundwater seepage. Library books on the bottom shelves had been raised, resulting in minimal damage. Elementary and secondary students in Houston did not return to school until September 11. NPR reported September 6 that nearly 25% of all school buildings suffered some damage. The Houston Association of School Librarians helped deliver posters on how to access ebooks to community shelters in NRG Stadium and other neighborhoods. Three campuses of Houston Independent School District (ISD) are damaged and closed for the rest of the school year. Kingwood High School is a total loss and must be rebuilt (watch the video). Moore Elementary School in the Cypress-Fairbanks ISD is a total loss. La Marque Middle School library sustained significant damage. Mauriceville Elementary and Middle School libraries in Orange are completely lost. Henderson Middle and High Schools in Sour Lake are closed until further notice. Two synagogue libraries in the Houston area were hard hit by overflowing waters of the Brays Bayou, a stream that separates two hubs of Houston’s Jewish community on the west side. 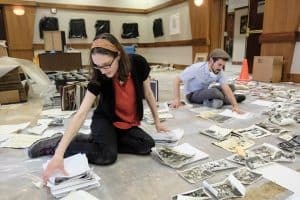 Faculty at Rice University stepped in to help preserve historical photos and rare documents at the United Orthodox Synagogues of Houston and Congregation Beth Yeshurun. Rice Jewish studies scholar Joshua Furman and historian Melissa Kean visited both facilities to assess the damage and assist with cleanup and recovery. The Rockport Center for the Arts, an art center and 10,000-square-foot sculpture park near Corpus Christi, has sustained “serious external damage,” wrote director Luis Purón in a Facebook message. Considering the extent of the storm, many of the region’s other museums have survived relatively unscathed. The Museum of Fine Arts Houston, the Menil Collection, and the Galveston Arts Center came through in good shape. The Florida Library Association reports that many libraries had some leakage or property damage, but that delays in opening were mostly due to disruptions in electrical power or water supply. 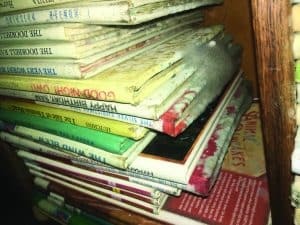 About eight inches of water flowed into the children’s department at the Daytona Beach (Fla.) Regional Branch of the Volusia County Public Library on September 11 when Hurricane Irma came through and destroyed $5,000 of the library’s holdings. The library is located on City Island in the Halifax River, which rose three feet due to the storm surge and flooded 80% of the building. The branch is closed until further notice. Library damages in Puerto Rico are still being assessed as of the end of October. About 80% of residents are still without electrical power more than one month after Hurricane Maria passed over. 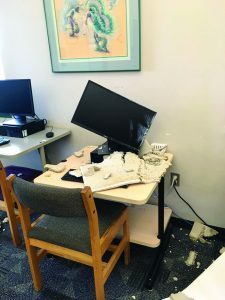 The libraries of the University of Puerto Rico’s Humacao and Bayamón campuses sustained significant damage from wind, water, and mold. TLA and Texas State Library and Archives Commission (TSLAC) are working together to coordinate a response for damaged libraries across the Gulf Coast region. TLA has a disaster relief fund that is actively seeking contributions. Hundreds of individuals and companies have donated to the fund. TSLAC offered “Rebuilding Texas Libraries” disaster relief grants to affected libraries through October 16. 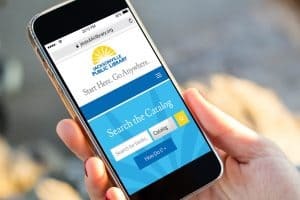 TLA and TSLAC have set up a Texas Library Recovery Connection, an online sharing system to bring together assisting organizations with libraries that need help. As of October 27, more than 20 libraries have described their losses on the spreadsheet. The Florida Library Association has set up a Florida Libraries Disaster Relief Fund for libraries damaged by Hurricane Irma. 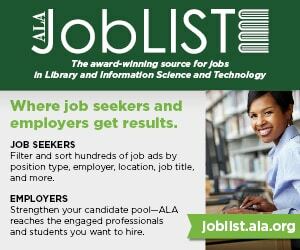 The American Library Association (ALA) is accepting tax-deductible donations through its Disaster Relief Fund to help the many libraries in the Caribbean, Mexico, and Puerto Rico that were destroyed or heavily damaged by Hurricane Irma, Hurricane Maria, or the Mexican earthquakes. Libraries such as the Philipsburg Jubilee Library on St. Maarten was severely damaged but reopened partially on October 24. ALA is partnering with Florida International University Library and its Digital Library of the Caribbean staff in assisting these libraries. The American Association of School Librarians administers Beyond Words, a school library disaster relief fund for public school libraries in states served by Dollar General. The goal is to provide funding for books, media, or library equipment that support learning in a school library environment. The Society of Southwest Archivists (SSA) and the Society of American Archivists (SAA) manage an Emergency Disaster Assistance Grant Fund that supports the recovery of archival collections from major disasters. Any repository that holds archival records or special collections is eligible to apply for a grant. The repository need not be a member of SSA or SAA. Grants monies may be used for the direct recovery of materials, freeze drying, storage, transportation, and supplies. ALA also offers a list of resources for dealing with natural disasters at Libraries Respond. 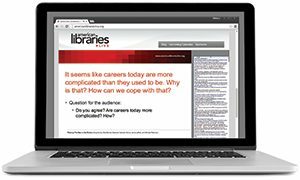 GEORGE M. EBERHART is a senior editor of American Libraries.